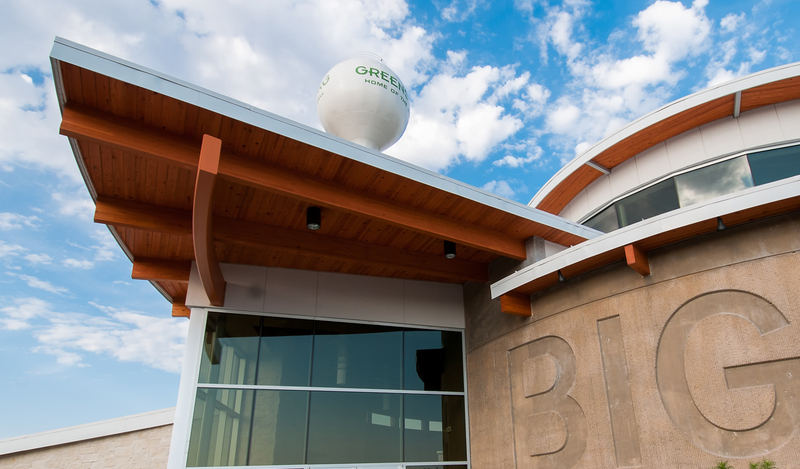 This new facility serves as the City of Greensburg’s welcome center. 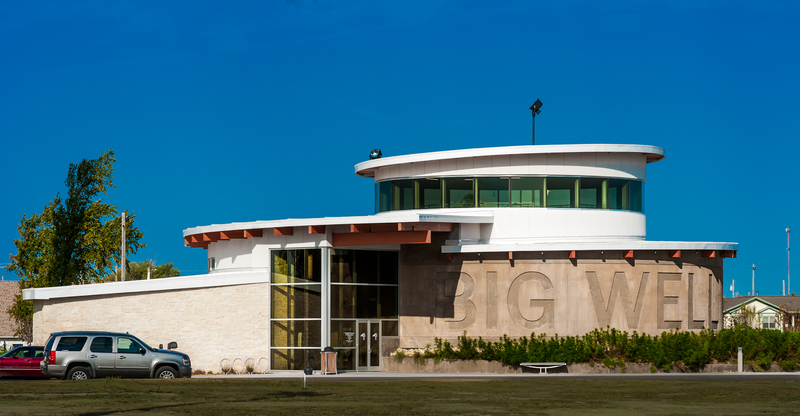 It was constructed over the original site of the “Big Well,” the world’s largest hand dug well, created in the 19th century. The original building that housed the well was destroyed by an EF5 tornado in 2007. 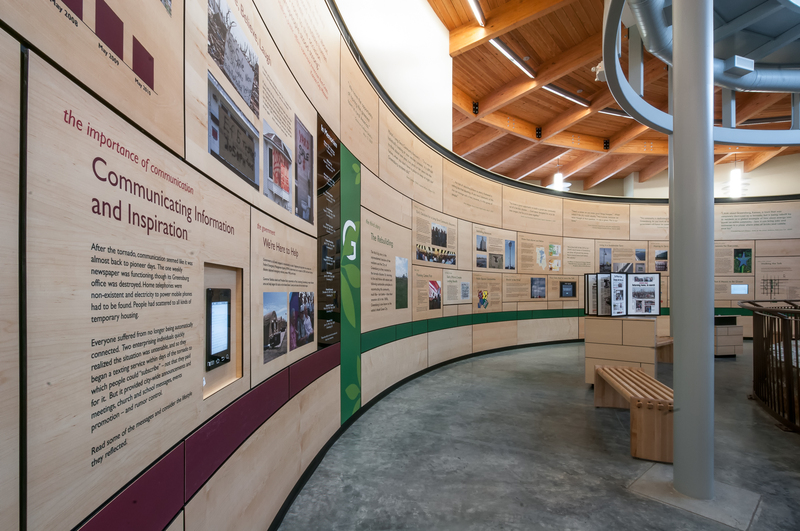 The center portion of the building serves as the gallery space for three presentation areas: museum to the hand dug well history; the Greensburg tornado and past; and the current and future history of the rebuilding of Greensburg. 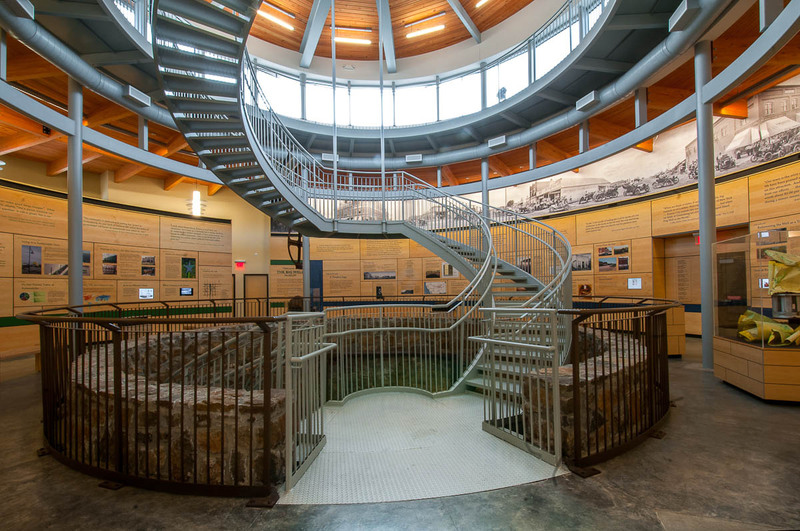 The museum serves as a public classroom for the history of the well and Greensburg with interactive exhibits. Other features include a public lobby entrance and commons with a ticket booth controlled entry, public restrooms that serve as a tornado storm shelter, a gift shop, building offices and facility areas. The basic design shape is a nautilus. 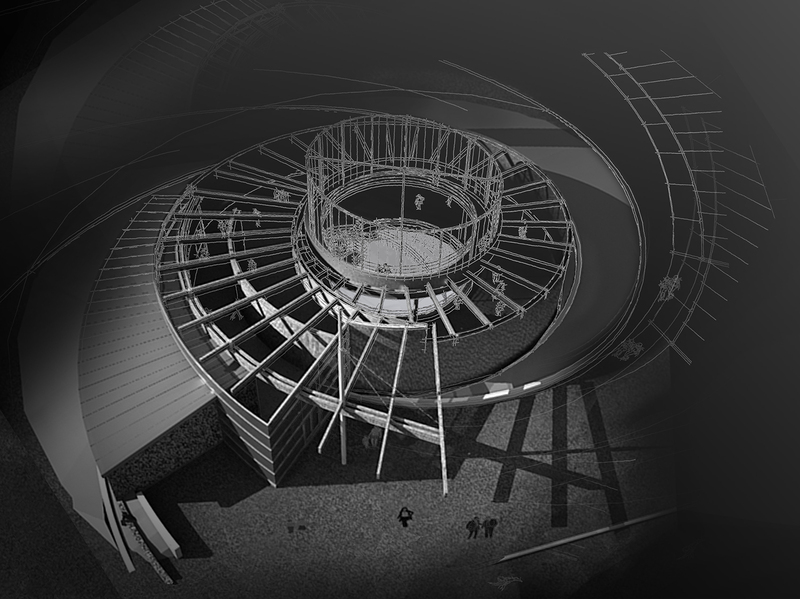 The nautilus scheme is continued throughout the soft and hardscape design and layout of the site. A new outdoor memorial garden resides at the corner of the site to honor the lost during the Greensburg tornado. 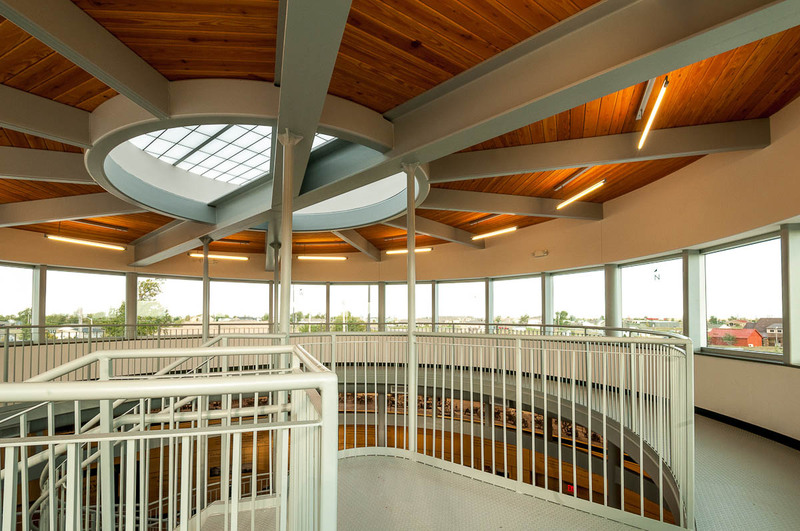 The building construction incorporates wood glue laminate structural beams and wood plank ceilings. 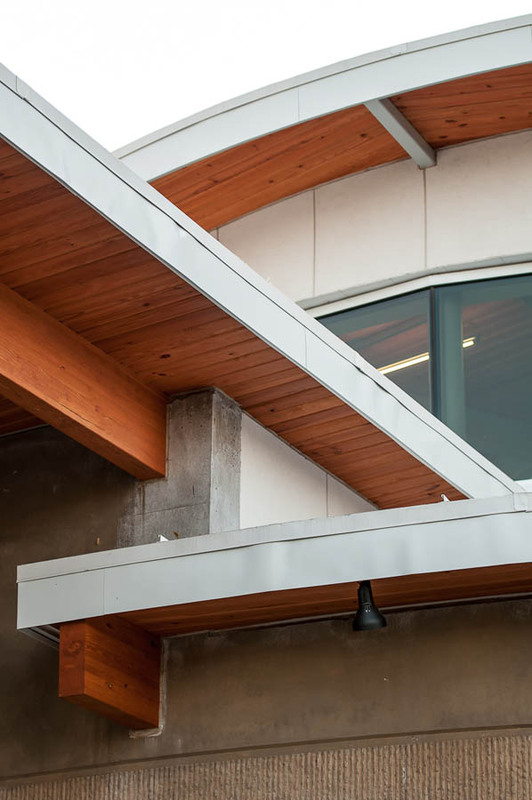 The exterior wall is comprised of textured colored concrete and lime stone veneer. 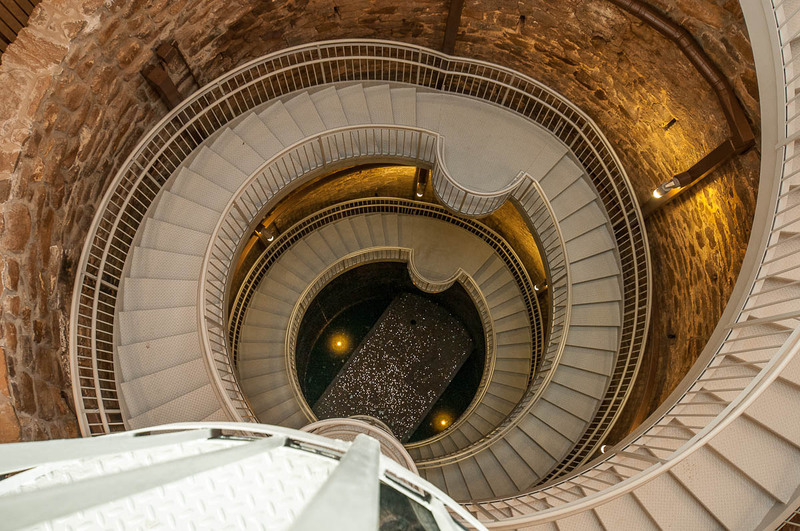 A spiral staircase descends 50 feet into the 100 foot deep well. 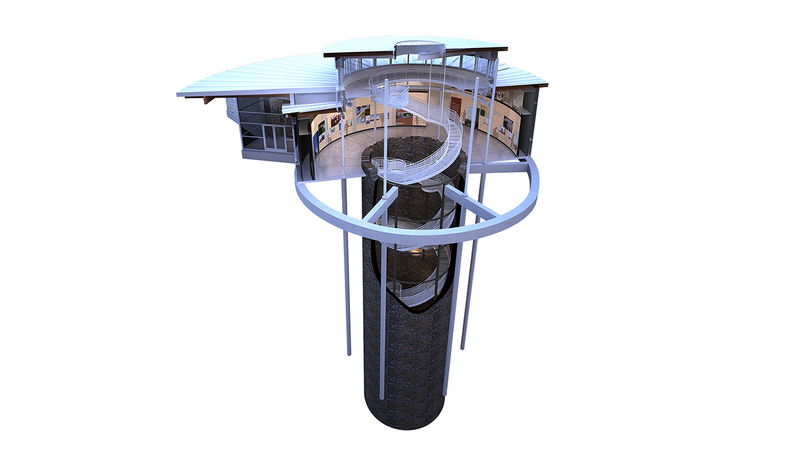 Additionally, the spiral staircase ascends to an observation deck that lies above the gallery, giving a 360 view to the surrounding city.